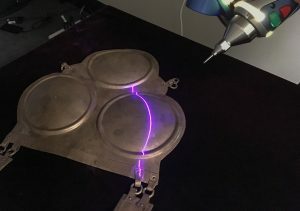 ‘Lasers, Lights, and Bronze Body Armour’ is a free seminar presented by Dr. Jeremy Armstrong, Dr. Josh Emmitt and Mr. Tim Mackrell of University of Auckland, hosted by Auckland Archaeological Society. This talk focuses on the use of experimental archaeology in museum collections. Part of the project ‘Blood and Money: The Military Industrial Complex in Archaic Central Italy’, is supported by the Royal Society of New Zealand’s Marsden Fund. 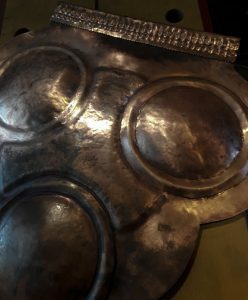 This collaboration between Classics and Ancient History and Archaeology is exploring the development, manufacture, supply, and maintenance of military equipment in the ancient Mediterranean using archaic Central Italy as a case study. 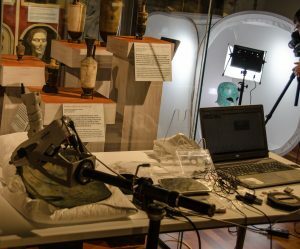 This informal talk will present the basics of the project and some of the benefits (and issues) of this ongoing work – with a particular focus on data acquisition using macroscopic analysis, pXRF, and 3D modelling in the context of museum collections. The project is headed by Dr. Jeremy Armstrong, Senior Lecturer in Classics and Ancient History, in collaboration with Dr. Josh Emmitt and Mr. Tim Mackrell from Anthropology and the School of Social Sciences. The talk will run for 1 hour, including question time, followed by drinks, nibbles and an opportunity to mingle. The event is scheduled after the end of New Zealand Archaeology Week due to University of Auckland graduation dates. Event organiser: Auckland Archaeological Society.